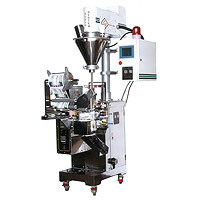 Auger Filling & Packaging Machine (JS-16A) - Chung Shan Machinery Works Co., Ltd.
Auger Filling & Packaging Machine developed by Chung Shan offers powder or granule packing for clinics as well as chemicals for research facilities. Chung Shan machines have obtained ISO 9001-2000 Certifications to ensure the buyers the reliability of its packing machines. 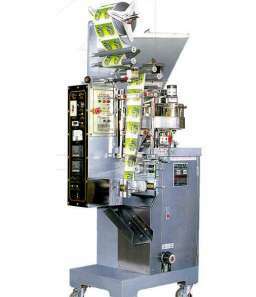 Various machines developed by Chung Shan features different functions including shrink packing, vacuum packing, boxing packing, carton packing, and food packing. 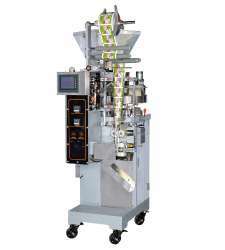 Chung Shan has been a professional manufacture of packing machines since 1977 and is experienced in helping its clients in building the perfect packing machine. 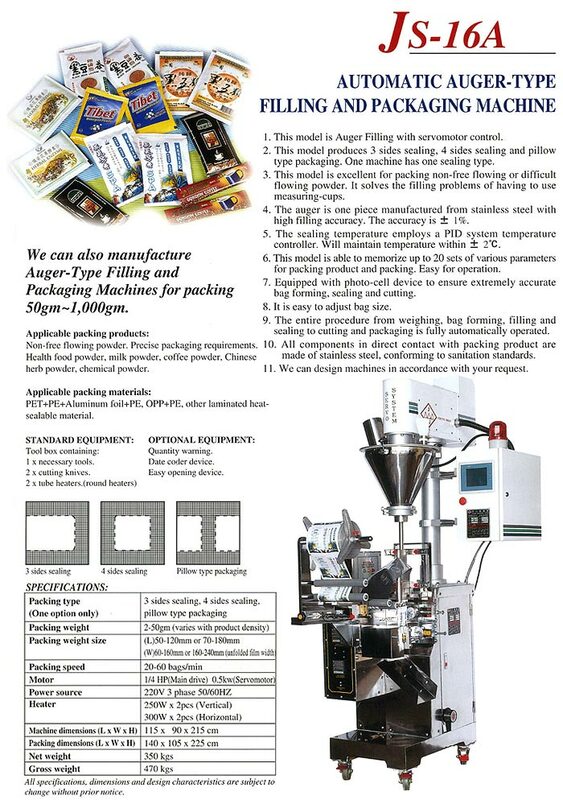 Please contact us for further details on our auger filling & packaging machine. The auger is an integrated piece from stainless steel with high filling accuracy. The inaccuracy rate is within +/- 1%.